The Live Herring group is organising a series of media art events in central Finland during this spring. They are especially interested in proposals for the thematic programme in Jyväskylä Art Museum during week 10 (theme: Sound) and 11 (theme: Technology). Pixelache will take place during week 10, so this could be an opportunity for some Pixelache guests to also make a trip to Jyväskylä. The open call for proposals will officially close on February 15 but it might be possible to get feedback about decisions already earlier. 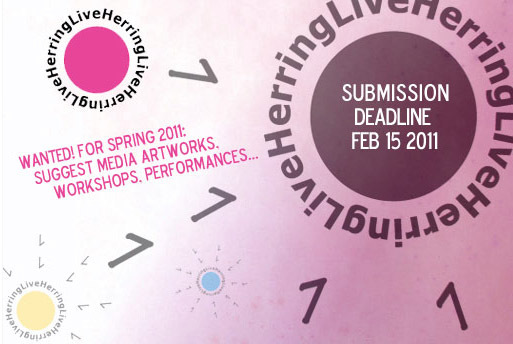 Live Herring does not have a big budget, so they are mainly looking for light-weight proposals - artist talks, etc.